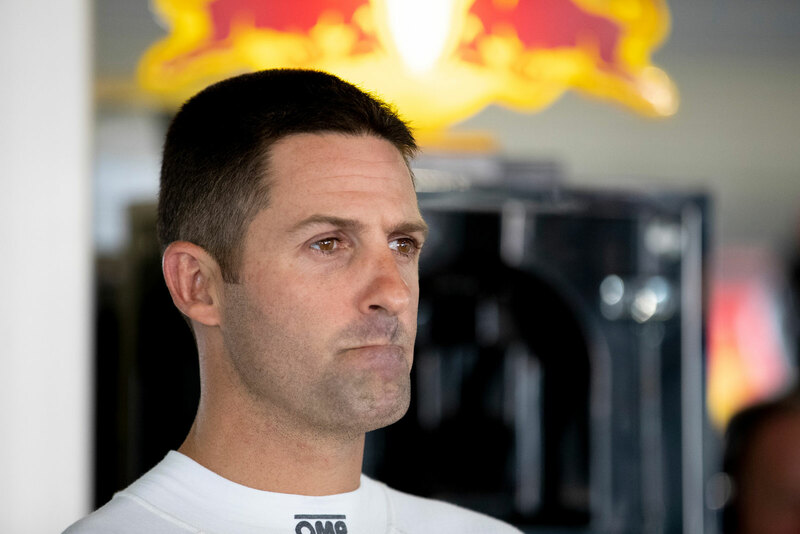 Jamie Whincup says the Red Bull Holden Racing Team will ‘fight our way out of’ its current slump, amid a horror run for the seven-time champion and Holden factory outfit. Whincup has plummeted from second to seventh in the standings across the last eight days, now 310 points behind runaway leader and defending champion Scott McLaughlin. 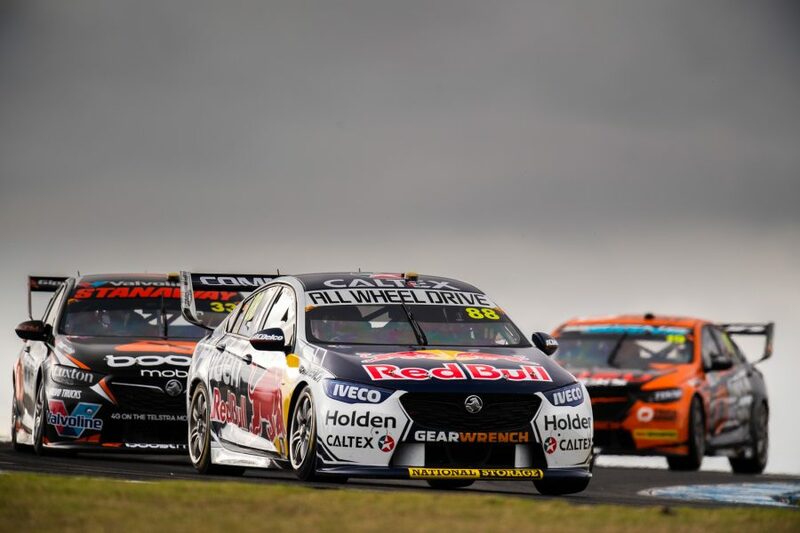 It has prompted Craig Lowndes, a Fox Sports pundit and the #88 entry’s PIRTEK Enduro Cup co-driver, to suggest Whincup may already be out of the title race. 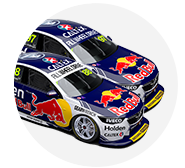 Whincup qualified 15th and 13th at Symmons Plains last weekend, and 17th on Saturday at Phillip Island; the first time he’s started three straight races outside the top 10 since 2014. He finished last in the Tassie opener after an early clash with Chaz Mostert and, following a fifth a day later, was a DNF on Saturday at Phillip Island due to a lost wheel. Phillip Island has been particularly tough for Whincup, noting after qualifying that "I can’t remember a car with so little grip than that, I’d have to go back 15 years I reckon". 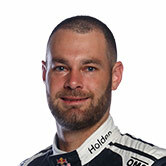 Team-mate Shane van Gisbergen won last Sunday at Symmons Plains, but has also struggled at the Island, qualifying ninth and finishing sixth on Saturday. 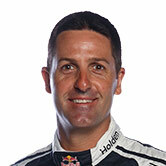 "Collectively as a group, we are not performing as well as we would like," said Whincup after his Saturday disaster. "We have certainly dropped off quite substantially from last season. There’s no secret, we are not hiding behind it and not saying it’s bad luck. "We’re big advocates of making our own luck and it’s clear we’re not making any luck for ourselves right now. "You can call it a slump, but we will fight our way out of it. "We have a fantastic group of people that we consider ourselves to be a family and families work hard together to get each other out of a hole. "So, that’s exactly what we plan to do." Team manager Mark Dutton also said he is not surprised the team has struggled at Phillip Island, having been off the pace at the pre-season test. The squad has faced two major challenges this year; the banning of trap springs, in which it was seen as a category-leader, and the debut of the rapid Ford Mustang. "We weren’t quick here at the test day, so we came in knowing it would be a difficult fight, we had no misconceptions there at all," said Dutton. "You’re not happy after a day like that but we have had bad performances before and we know how to dig ourselves out of them. "We just need to work hard. The mechanics will make sure the cars are put back together perfectly, and the engineers will tell them how to make them go faster, and we’ll go from there." Asked if Whincup’s car had improved from qualifying to the race on Saturday, he added: "We have been testing quite heavily some different set-ups because we are trying to close up the ground. "When you test, some things work some things don’t. We have got some good direction for [Sunday] but until you get back on track on prove it, you don’t know. "In the [Saturday] race it was better [than qualifying], good enough, we have still got more of that to go through to see what we learnt from each session including the race. "There is another practice session before qualifying, it counts toward qualifying position but it will be another time to hopefully refine the car. "Hopefully we can make some good calls."